Mary Barra (PeekYou profile here), the now former Executive Vice President of Global Product Development for General Motors, has just been named the American automotive giant’s brand new CEO. 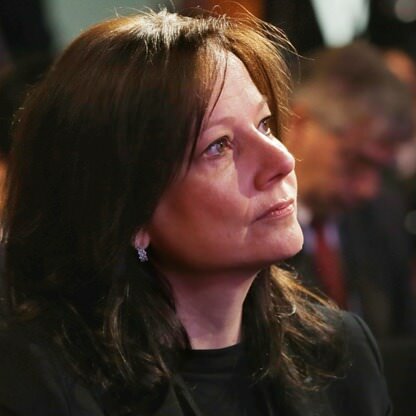 Forbes, last year, determined Ms. Barra to be the 41st most powerful woman in the world. We suspect that next year may find her higher upon any list of that nature; including, not only Forbes’ list of top-paid female CEOs (of which you can see our PeekScore list here), but simply their list of highest-paid chiefs. Wall Street Journal goes into greater depth here.